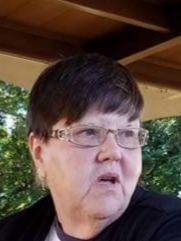 Karen Lynn Perkins, 65, of Providence passed away Sunday, January 6, 2019 at Baptist Health in Madisonville. Karen was born in Providence on August 24, 1953 to the late Charles “Bill” and Cecelia Perkins. She was a teacher at Providence Elementary for 28 years and attended General Baptist Church in Providence. She is preceded in death by her nephew Jason Perkins and niece Amanda Perkins. Providence 1 niece Amy Warren (Brett) and 1 nephew Andy Perkins great-niece and nephew Claudia and Remington Perkins and aunt and uncles. Graveside services will be conducted on Saturday, January 12, 2019 at 2:00 PM at White Oak Cemetery in Clay with Bro. Barry Cullen officiating. In lieu of flowers donations can be made to your favorite charity. Vanover Funeral Home was in charge of arrangements.